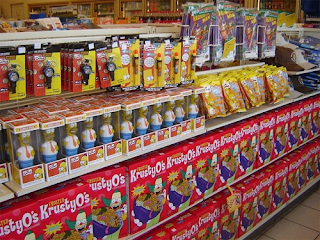 JuiicyScoop: Who Loves The Kwik-E-Mart?! In preparation for the "Simpsons Movie" 7-11 is transforming their stores into Kwik-E-Marts just like the convience store on the cartoon show. 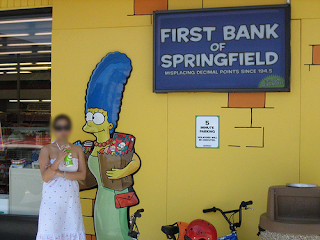 According to the press release: The Kwik-E-Marts, along with the 6,000 other Seven-Elevens around North America will sell Simpsons-themed treats during the month-long promotion. Among them: Buzz Cola, Krusty-O's cereal and Squishees, the slushy Slurpees knockoff.